In this, our last newsletter of the year it gives me great pleasure in welcoming Ann Kelcey to the Parish Council and she completes a triumvirate of Northampton Road councillors. It is also appropriate that we remember Dave Deacon, who died suddenly at a tragically young age on the 3rd October. Dave was a parish councillor for a number of years and brought a great sense of warmth and fun to our meetings. Our condolences go to Clare, Henry, Scarlett and Edward. 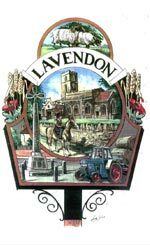 Planning is still a hot topic in Lavendon. At this time we understand the application for back of Castle Road and The Glebe will go before the Development Control Committee on 5th January, we have been informed that the application for The Stoneyard has been delayed at the request of MKC. 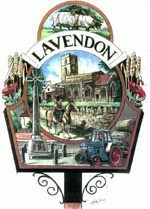 I mentioned the new litter bins in the village in the previous newsletter and whilst we are pleased to see them being used it would be appreciated if dog owners could use the appropriate bins rather than the new bins which are intended for general litter only. There are plenty of red dog litter bins in the village and we pay a company to empty them regularly. Milton Keynes Street Cleaning team now only empty public litter bins every 2 months which puts a greater onus on us all to be responsible and aware of litter. The council has decided to proceed with purchasing its own grass cutting equipment and we will be taking delivery early next year. We are fortunate that we have someone who knows how to operate the tractor having worked for Olney Town Council for a number of years and he will take up the role for the start of the 2017 season. Stagecoach have revised the times of Service 41 to Northampton and Bedford from the 27th November. They will depart for Northampton from the War Memorial at 40 minutes past the hour, arriving at 21 minutes past the hour and for Bedford they will leave at 26 minutes past the hour, arriving at the bus station at 2 minutes past the hour. The full schedule is on this website. 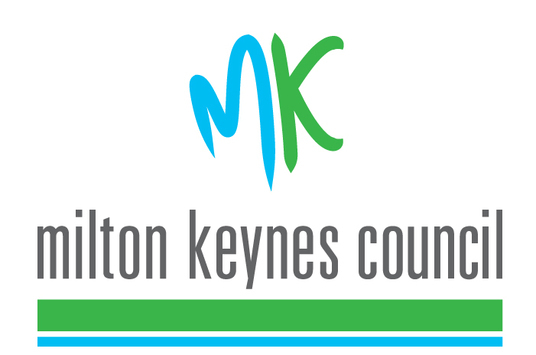 Details of Christmas/New Year rubbish collection dates are not currently available from Milton Keynes Council but as soon as we know we will publish them on this website. On behalf of the Parish Council, I wish you all a Merry Christmas and a Happy New Year.